A San Diego native, I have never seen anything like this. 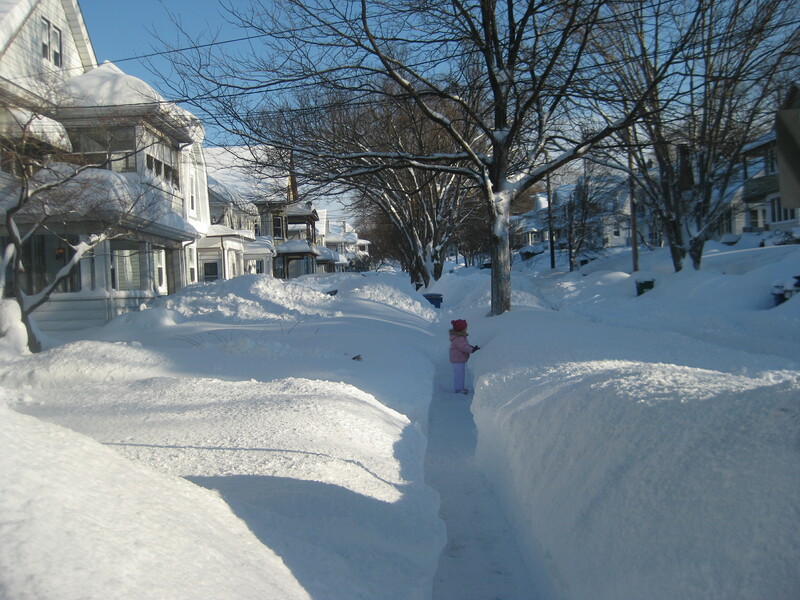 I was somewhat comforted Thursday morning when Jaime, a long-time New England resident, conceded that she has never seen this much snow, and wondered out loud if we had unknowingly been transported to Buffalo or perhaps Alaska. As it turns out, no one in Connecticut has ever seen anything quite like this. The snow began falling again last Wednesday night at the rate of 1-2 inches an hour and by the time the flakes stopped Thursday morning, the 15 inch measurement brought Connecticut’s total accumulation for January to 59.8 inches! The five feet of snow shattered the previous record of 45 inches in the month of January set in 1945, with four days yet to go in the month. In the midst of the unyielding snow storms, my wife and I have been preparing for the birth of our third child and our first home birth. Our first two children were born at Yale New Haven Hospital, but after Shepard was nearly born in the car on the way to the hospital the last time around, we were excited to pursue our longtime goal of a home birth and have the midwives come to us. Oh, it all seemed so simple at the time we made the decision. Our first two were born on beautiful and warm late summer/early fall days, and the thought of a winter arrival this time around seemed quaint. We would fill our oil tank and run our heaters until our 1910 apartment, sans insulation, reached a temporary but toasty temperature to welcome the child. The labor would occur quickly and without complication and life with three children would get off to a nice start. I would take off at least two weeks after the baby was born to assist both mom and kiddos #1 and #2 with the transition to a family of five. Yep, the plans looked nice all drawn up. But nothing this time seems to be going according to my plan. Let’s start with the snow. First snows are always somewhat magical and this month started out in enchanted fashion. The snow was soft and plentiful, floating down in big sparkly flakes. 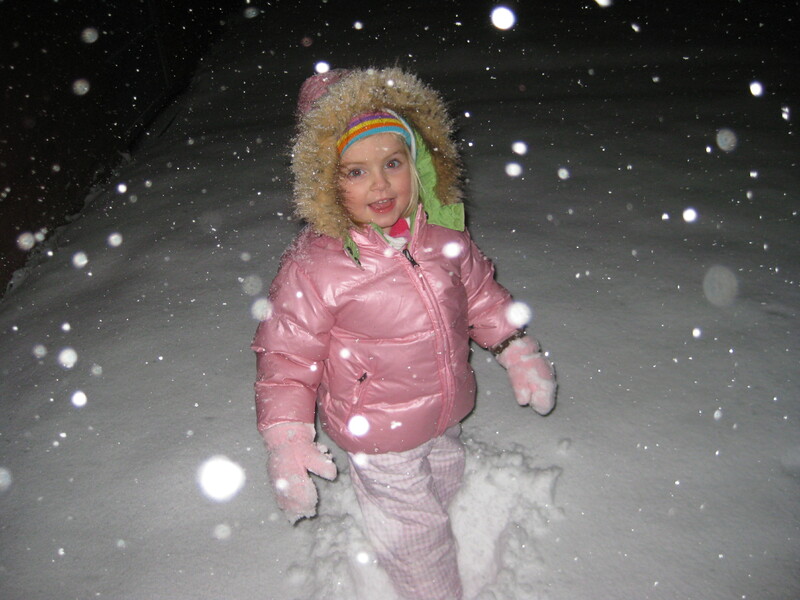 I took Clara out in the middle of a snow shower on the evening of January 7 when the ground was already covered in a blanket of frosty white. We had fun traipsing toward the backyard leaving footsteps in the virgin winter cover. January 12 was a day to remember as my 28th birthday brought over two feet of snow and a resulting paid day off from work. Granted, I did spend hours outside shoveling ourselves and neighbors out of the overnight snow pack, but it was a good day. Our Maxima was so completely covered by the snow drift that when Clara came out to assist the clean up effort, I was able to help her sled from the roof of the sedan down the windshield and hood of the vehicle and then down the hill into our backyard without ever having the sled touch the surface of my car. Good times. Another highlight was teaching Clara that snow of the fresh white variety is edible and watching her test this out for herself (below). But then it got messy. First came an ice storm which covered the existing snow walls and landscapes with two solid inches of ice creating a deadly beautiful scene. The ice put a choke hold on the trees and our homes while glistening in the morning sunlight. The added mass of the frozen water began to cause branches to snap off and fall in the roads. Massive icicles over six feet long attached themselves to our house and were the death of our rain gutter which came crashing down two stories under the weight. Then the ice was covered over by another two snow showers. As we ran out of places to shovel the snow, I was reminded of my friend Jason Stewart’s recent description of falling snow as relentless beauty. It was that unrelenting nature that helped me welcome age 28 by overworking my rotator cuff from unnatural movement related to repeatedly scooping pounds of snow and catapulting it over my head to the only places the snow could still be piled. By the time this last storm’s carnage was manifest, the snow pile up in our front yard could have buried Yao Ming. Every intersection has become blind due to the snow barriers and all streets have been narrowed to the width of a single car due to the insurgent precipitation. Perhaps most worrisome to us, should the baby decide to come during one of these storms, would the midwives be able to get to us? I played a decent center field in my day and feel confident about catching the kid, but would prefer not to break out my glove. Even if the storms passed, as our town appears to be under siege from a near-permanent parking ban, will there be a place for the midwives to park upon arrival? As if the snow is not a formidable enough obstacle, our family has been hit with consistent illness throughout the month. First Shepard and then Clara came down with an RSV-like respiratory infection and we were advised that such an illness contracted by a newborn would likely be an automatic hospitalization for the little one. We began considering splitting the family up postpartum and having Jaime rest and take care of the infant over at Nana’s house while I would take care of the sickly elder siblings in our apartment until the tide of infection should pass. But in between storms, Jaime’s due date of January 21st came and went with no sign or contraction of a baby. Jaime’s pregnancies with Clara and Shepard both went beyond their “due” dates by a couple days, so we were not alarmed when the 23rd arrived without a baby, but decided it wouldn’t hurt to get a check up with the midwives when the 25th came around without so much as a labor pang. At the exam, Jaime was informed that apparently our due date had been revised to January 26th after the last ultrasound performed by our previous practice, and that in the process of switching to our current midwife/home birth practice this information had somehow not been relayed to us. We were relieved that the baby was not yet “late,” but I admit I was a little perturbed as I had planned my paternity leave off the due date being the 21st and had already begun my limited leave of absence with no child yet in tow. I attempted to get over it and chalked up the miscalculation and mishandling of information to something that must happen when you have three kids and not one (or two) and attempted to embrace my new reality of plans being readily flushed down the toilet in favor of chaos. I reset my anticipation clock and again prepared to wait. I have been leisurely reading through Ann Lamott’s Traveling Mercies over the past six weeks and have found the title chapter to be especially insightful. In the essay, an acquaintance of Lamott’s is complaining about her recent run of bad luck when she runs into a gentleman who works with the Dalai Lama. The gentleman then shares his perspective that, “when a lot of things start going wrong all at once, it is to protect something big and lovely that it trying to get itself born – and that this something needs for you to be distracted so that it can be born as perfectly as possible.” In light of the incessant blizzards, the relatively serious household illnesses and a miscommunicated due date, I decided that something big and lovely was indeed trying to get itself born. 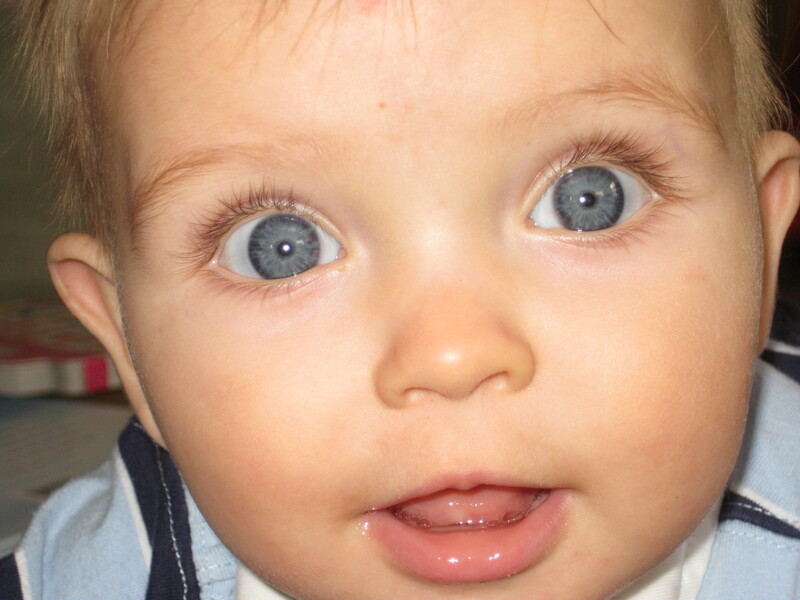 In this case, not much metaphor deciphering was necessary, obviously it is a big and lovely baby. A child in God’s hands, waiting for the right moment to arrive. I felt strongly this said arrival would occur on Friday the 28th, if not before. Then when contractions did finally begin on the evening of the 28th, I felt certain that our son or daughter would be born on Saturday the 29th at the latest. We took the kids over to Nana’s house for a sleep over, we cleaned and prepared our home (again), we walked on the treadmill at Planet Fitness, we relaxed, we rubbed big toes, we waited and waited. We still are waiting. And the longer we wait, the greater my realization that I have no control here. And perhaps, this, my consistent desire for control, has been the obstacle that needed defeating, above the snowstorms and the illnesses. Perhaps now the baby can be born, perfectly as possible, unlike anything I’ve seen before. As we were leaving Chili’s this afternoon, Jaime commented, “I cannot believe this is the third time that someone can ask me when my due date is, and I can tell them yesterday.” Both Clara and Shepard arrived two days after their “due” date, Clara on a Sunday evening and Shepard on a Friday afternoon. Yesterday was the due date for our third child and in anticipating the arrival of kiddo number three, a.k.a. The Player to Be Named Later, I have been reflecting on our first three plus years of parenting. One of our favorite things to do with the kids is read to them and I thought I would share my top 10 children’s books recommendations (thus far) in Letterman fashion, for anyone looking for a good read to share with your own little ones, grandkids or perhaps to pick up from the library in route to your next babysitting gig. The picks below are my suggestions for kids zero to three and for the most part do not include the stuff you probably loved to read as a kid, but instead are meant to shine light on some possible new favorites. Given to us as a gift by Yale New Haven Hospital when Clara was born, we read this book to her every night as an infant; that is, until she grew to love it so much that it became overly-stimulating and had to be removed from the bedtime routine in lieu of watching “Praise Baby” DVDs. Wallace’s construction paper cut-out art is simple yet inventive and makes me wish I had thought of it first. 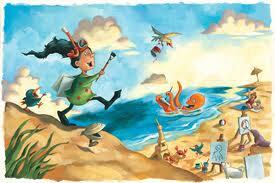 The story follows a typical day in the life of a child and ponders what was good about today. 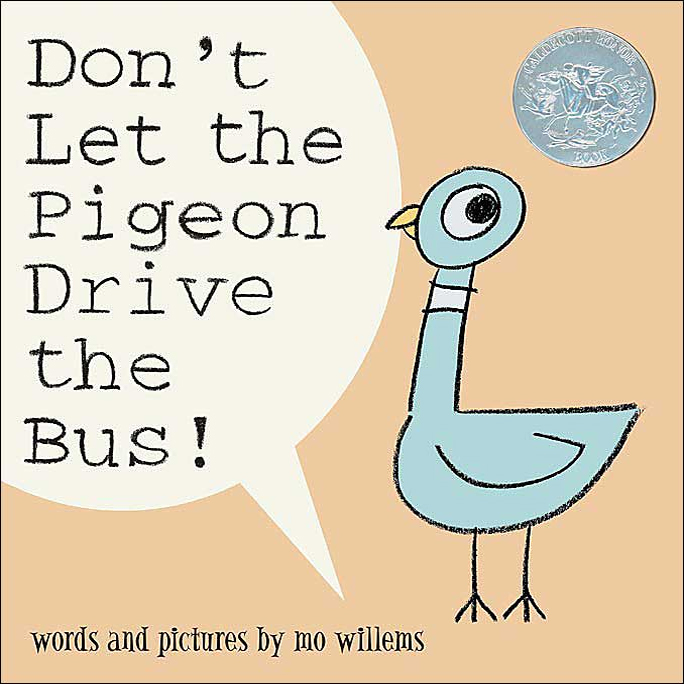 One of many great picks introduced to us by Fairy Godmother Wendy, this book is highly interactive as the bus driver gives your child the responsibility of preventing an overly ambitious pigeon from driving his bus. Kids love telling the pigeon “No!” But be careful, the pigeon can be pretty persuasive as evidenced by Clara’s consistent caving when the pigeon offers a bribe of five bucks. I have to admit that I also love attempting to give the pigeon my best Brooklyn accent. Willems’ illustrations are nothing to boast of, but you have to admire the Sesame Street writer’s persistence as he was repeatedly rejected as a children’s author before publishing this Caldecott Honor book in 2003. Willems has gone on to produce a growing number of titles, but in the ever-important child potty training genre, his “Time to Pee!” is my favorite. Joose tells a story of a mom and her two boys who are vying for her love and attention. While spending a day fishing, the mother makes sure to compliment the very different natures and skills of both her sons. When being tucked in, the boys ask, “Who do you love best?” Mom wisely and descriptively answers that she loves one of her sons the bluest and the other the reddest. I think I may have enjoyed this one more than the kids as it does a nice job of describing a parent’s love. Whyte’s watercolor illustrations nicely compliment the tone of the book. This New England flavored story was inspired by Henry David Thoreau’s “Walden” and is an ode to simplicity. A brown bear named Henry and his friend decide to meet up in Fitchburg, a town 30 miles away. 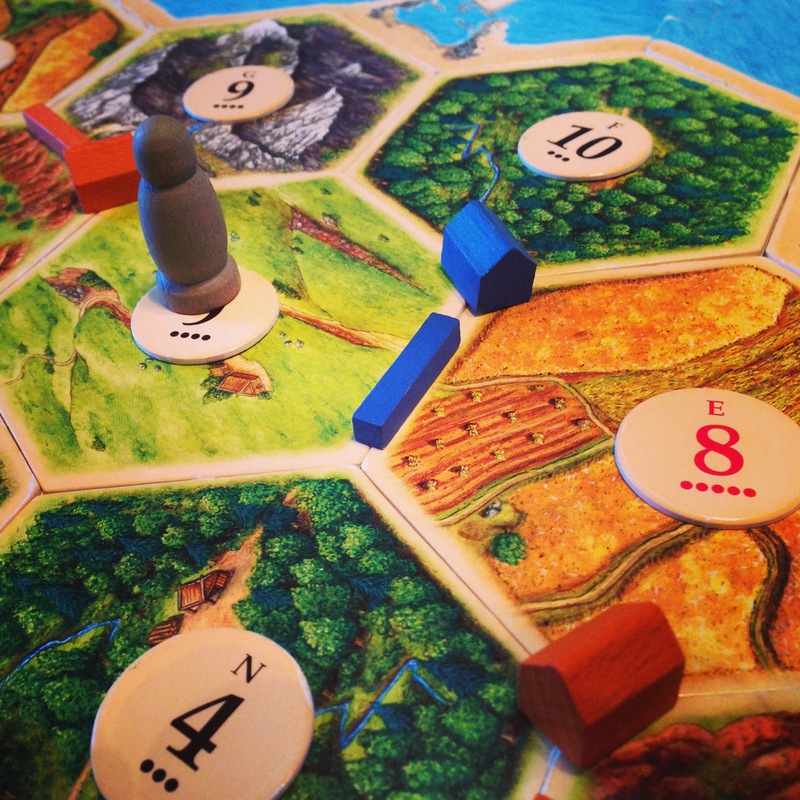 While Henry’s friend spends a few days completing various chores and journeyman tasks in order to earn the train fare, Henry elects to hike the distance, stopping to examine nature and eat wild honey along the way. The review in Publisher’s Weekly sums up the plot nicely noting that Johnson’s book weighs “fast-paced urban existence against an unmaterialistic life in the woods. Both bears make it to Fitchburg, but Henry’s friend wears a blank stare, in contrast to Henry’s bright-eyed, curious gaze.” The review suggests the book for ages 4-8, but it’s hard to argue that an introduction to the value of nature can come too soon. However, should the message prove too complicated, the illustrations are fantastic (I especially enjoy the depiction of Henry rock hopping across the Sudbury River contrasted against his friend carrying wood, as the bears are shown walking in different directions despite moving toward the same overt goal). I’m a sucker for creatively rhymed narratives that are as much fun for parents to read as they are for children to hear and Ella Kazoo fits the bill. 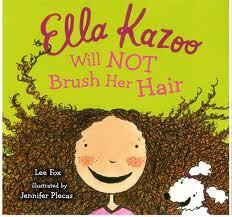 Beyond a humorous take on the mom-daughter fight over hair brushing, the book is an undercover study in synonyms including the words mane, tresses, locks, frizz and mop as alternatives for Ella’s hair. Plus, I always like an unexpected turn and when Ella refuses to listen to her mom, her hair then refuses to listen to her and takes on a persona of its own, requiring parent-child collaboration to thwart. Perhaps most importantly, the book maintains its fun upon repeated readings, which won’t be true of all of your children’s favorites. Short, simple and constructed with bouncy rhymes, this book details Mrs. Nelly McNosh’s weekly ritual of hanging up her laundry to dry. After the shirts and socks go up, Mrs. McNosh gets a wrong number and hangs up the phone (on the line) followed by hanging all sorts of other things including the mail, a kite, bats (of the flying rodent variety), and her turkey dinner, before finally washing herself and resting at the end of the day laying in a hung up recliner. Little ones love that they are in on the joke, recognizing that these things shouldn’t be hung up outside and that Mrs. McNosh seems to be hanging up everything in reach, including the wildlife. We’ve checked this one out three times from the Wallingford Public Library. 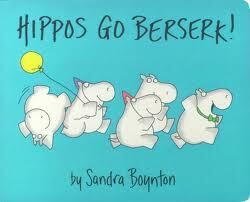 “One hippo all alone, calls two hippos on the phone,” leading to a hippopotamus party of legendary proportions. Even an unknown beast joins the fun and wait staff hippos are hired. When all 45 party animals cram into a small house, “All the hippos go berserk!” The party then dies down and the hippos leave in the order they arrived by means of a Conestoga wagon and a helicopter among other vehicles, until there is once more a solitary hippo living in the memory of the shindig. Constant rhyming makes reading so fun that math-haters will barely notice all of the addition and subtraction knowledge being subconsciously forced upon the children. “Porcupining” not only rhymes but the central plot is built on bad puns, so you know it has to be a good book for kids and adults like myself with underdeveloped senses of humor. The story opens with Cushion the porcupine, pining for love inside a petting zoo where there are no other porcupines and everyone else seems to have a mate. A banjo-wielding Cushion decides his best bet is to serenade some of the single ladies of different species. But while his heart is well-intended, Cushion demonstrates why he’s single when he belts out to a sow that although she’s fat he’s still interested and likewise would be willing to get with a beaver gal despite her “bucky” teeth. Predictably rejected, Cushion finally meets up with a hedgehog named Barb with a similar hard-knocks love history and their relationship is on point. Another fun one to read as the narrative includes many of Cushion’s attempts to impress the chicks using his voice, meaning the reader gets to invent the melodies and inflections. I always opt for a good country twang with decent reviews from the kids. Points are awarded for the husband-wife teamwork here, but it must be said that Don Wood’s illustrations are what make this book come alive. In each successive frame, we see the individual animals and people physically moving in the direction the narrative is heading while Mr. Wood brilliantly phases the light into the story with each page turn until “no one now is sleeping”. For extra credit, the setting of the book also appears to be based on the Wood’s actual home as shown in a photo of the couple on the back flap of the book jacket. I can take little credit for finding this book, as I obtained a copy for free inside a Cheerios box a couple years ago. Maybe it’s the overarching theme of social action and environmental protection, or perhaps it’s the combination of my affections for the beach and art, but Ballyhoo Bay takes the cake. Perhaps the most fun book to read in our collection and Anderson’s illustrations cause me to want to call dibs on him in case I get around to my goal of publishing a children’s book. I also love that our Cheerios version of the story is bilingual adding some Spanish flavor to the story and causing me to imagine that despite the protagonist’s strongly Italian name, that the setting is my beloved San Diego. I was going to include an honorable mention section, but I’d rather hear from you what you have enjoyed reading to your kids and your top picks for best children’s books. Last year, I began dwelling on the Biblical theme of light and dark and increasingly became convinced it may be the central literary theme in the Bible as well as the primary metaphor through which we might be able to place this life in context. Living in an entertainment-driven society, this topic takes on highlighted importance as the interaction of light and dark as narrative is ubiquitously recognizable in pop culture and current events. 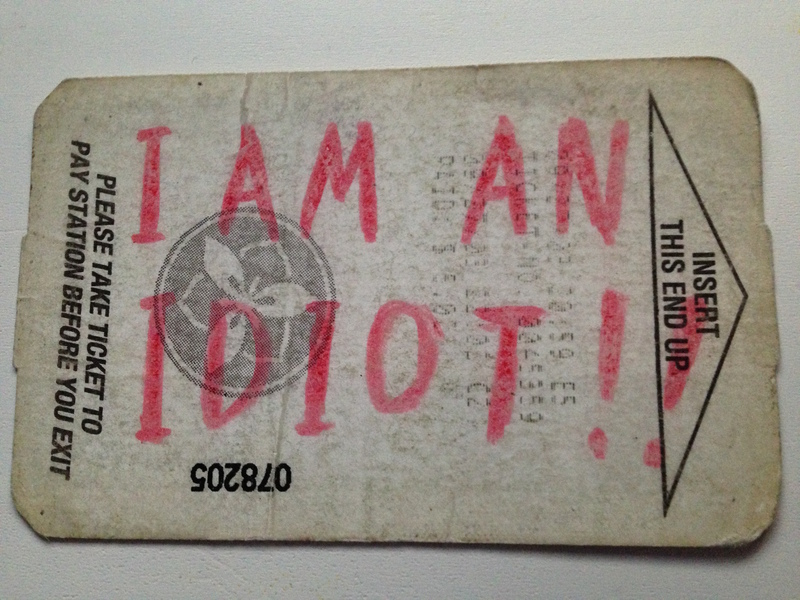 Of course, my meta-awareness of this motif could just be an example of the Baader-Meinhof Phenomenon (which occurs after one first learns of a subject and then repeatedly encounters that subject shortly after discovering it). “After Jesus had said these things, He went out with His disciples across the Kidron Valley, where there was a garden, and He and His disciples went into it. Judas, who betrayed Him, also knew the place, because Jesus often met there with His disciples. So Judas took a company of soldiers and some temple police from the chief priests and the Pharisees and came there with lanterns, torches, and weapons. “Jesus the Nazarene,” they answered. There is inescapable irony here, as in the middle of the night, the religious establishment believes themselves to be the bearers of the light. They are literally carrying lanterns and torches in an attempt to shine light on their perception of Jesus as an evil and dangerous blasphemer. But Jesus did not hide, and when he answers “Ego eimi” in the Greek or literally “I am”, all the power and light of the burning bush in Exodus 3:14 is brought forth and the apex of human history is underway as the Christ has resolved to officially fulfill his mission to meet the darkness in mankind and overcome it (John 1:5). In the Old Testament context, to name something or someone was to gain control over it, so God giving his name in Exodus 3:14 to Moses as “I AM WHO I AM” tells us as the reader a little something about Who is in control. Jesus clearly invokes that Exodus interaction here, answering, “I am”, but does so with a twist as He simultaneously announces His authority and yet will allow Himself to be captured, thus indicating the Passion to follow is indeed His plan. I have always been fascinated that Jesus’ statement “I am” was so powerful that it knocked the soldiers backward onto the ground. However, I have also been curious why such a strong image would be left out of the synoptic Gospel accounts if true, especially since Mark seems to have geared his entire account to show the power of the Messiah. Like your mom told you, good things come to those who wait, and I love when God illuminates a Scripture through illustration years after I first pose Him a question. Last Friday, Shepard the early riser made a foray into our bed before sunrise. The young man appeared to think himself wide awake and was thus climbing all over my head as I attempted to wake myself. At seventeen months old, my son is fascinated with the two small IKEA lights that are screwed into the wall above our bed and was using my nose as a stepping stool in an effort to turn those lights on. Not desiring any more feet to face interaction, I decided to help him out and sat up to turn on the master switch. I flicked the lights on without considering the ramifications and like dual laser beams, light shot directly into the little guy’s face. He immediately crumpled into the fetal position and dove under the covers. Quite simply, the transition from dark to light came too quickly and powerfully for him to adjust to while remaining standing and inadvertently I received a visual of what Saul must have looked like on the road to Damascus when he met the Light in Acts 9:3-4. Given John’s obsession with the Light/Dark theme in his Gospel, I don’t believe it an accident that he alone includes this fact as I believe he is attempting to show the moment when the soldiers own darkness is exposed. Just like Shepard, who quickly recovered and giggled in awe at the power of the light but stood right back up to face it, the mob stands back up to Jesus and continues with their mission. And just like Shepard believed himself to be awake before being blasted with the light, the soldiers’ own physicality betrayed their self-perception of being alert and righteous men. Even more amazing is that immediately prior to the events in John 18:1-6, the Synoptic accounts (Luke 22:40-46 for example) tell us that Jesus’ disciples actually were sleeping. This sets up an incredible juxtaposition, as Jesus finds Himself between His own physically asleep disciples and the spiritually asleep mob. Both parties have failed Him as their Creator, and the only thing distinguishing the disciples from the soldiers is their knowledge of their fallen state in relationship to the Lord. Jesus then simultaneously and briefly like the Green Flash became the Sunset for his Disciples and the Sunrise for all humanity moving from the spiritually enlightened to the spiritually dark and void, a bookend to the Creation Story and a fulfillment of the prophecies about Him. The Biblical narrative of Jesus Christ does appear to intend for us to pass through the darkness to the Light. While we have an option in how we respond to God, it appears Maurice Brown may be right in that there is no choice to get away from Him. Regardless of whether we hide from Him or seek Him out with less than upstanding intentions, He is there to encounter us, to ask us where we are, and to prompt us with the question of who it is we are looking to for fulfillment. In John 8:12, Jesus says, “I am the Light of the world; he who follows Me will not walk in the darkness, but will have the Light of life.” The Light is here. It’s time to get up. Lord, help me get up. Dad Time. Defined as the period, no matter how long, in which Mom is not present and Dad is left with the kids. 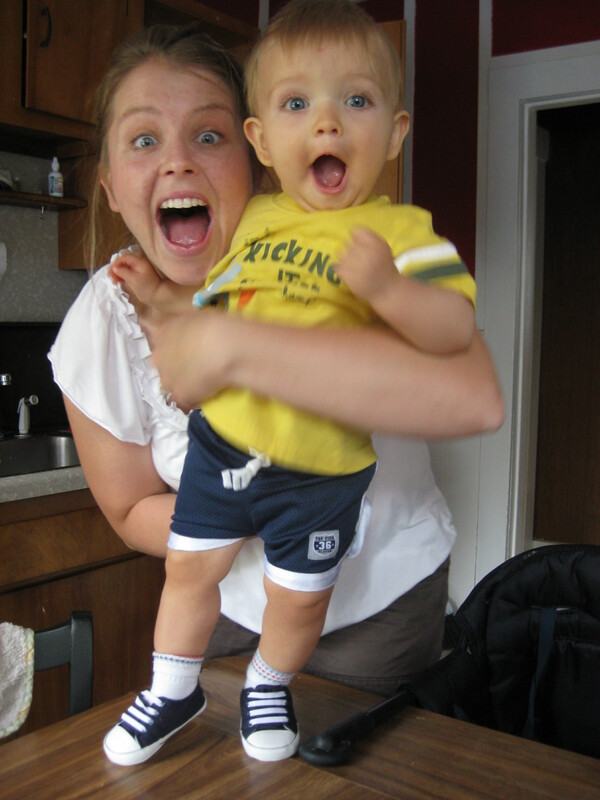 Inevitably, Dad Time invokes incidents that simply do not occur if Mom is present. For example, there was the time I was attempting to transfer six month old Clara from a pack ‘n play to her crib, in the dark, but did so by picking her up upside down and then holding her away from my body while trying to figure out what happened to her head. You can imagine Jaime’s reaction when she walked in at that exact moment to witness her baby dangling by her legs, fast asleep. Or the time just a few weeks ago, when just moments after Jaime left the house, I underestimated Shepard’s crawling speed, then underestimated his ability to pry open doors, and then watched helplessly as he found a bottle of Pine Sol and with break neck speed untwisted the cap and let the the bottle’s contents fly onto the kitchen floor while he giggled with delight. No joke, the way he put the Pine Sol in a headlock and twisted off the cap while releasing the bottle to the ground in one motion would have made Jason Bourne jealous. Boy, did it smell clean in the apartment that night. Jaime is away for the weekend at the Ganderbrook Ladies’ Retreat in Maine, which means I have had the kids to myself for a couple days and fortunately for the kids there are no great stories to tell. But just a couple days of Dad Time reinforces both how much I love these kids and how grateful I am that my wife is able and willing to stay home and raise them. Clara, Shep and I visited Sweet Treats on Center Street yesterday to pick up some candy (also a part of Dad Time) and the store manager commented how fast the time goes by with little ones. She had a look of longing in her eyes that suggested she wished she could return to such a time as I am currently enjoying. Just an hour before, the cashier at Walgreens noted she wasn’t even sure if she could remember her girls, now 11 and 6, ever being as cute as Clara. I don’t think she meant to say Clara was especially cute, as much as she was trying to lament the fact that she simply doesn’t have clear memories of her children as toddlers. These interactions made me appreciate my blessings all the more. 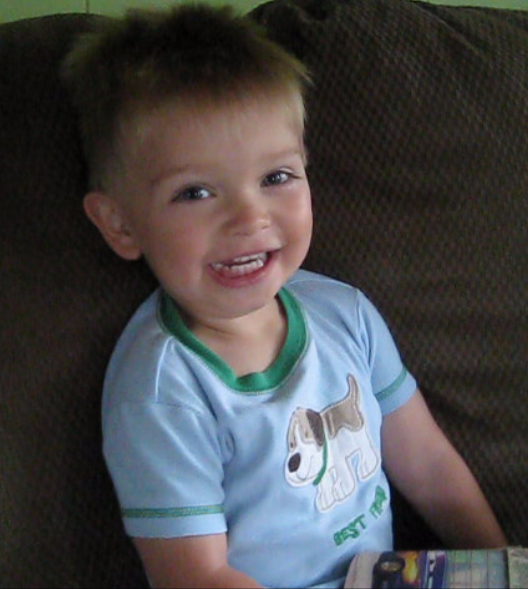 So not to brag, but in hopes that I will someday remember, Shepard is incredibly cute at 13 months. He just learned how to walk and his gait-in-progress reminds us of Jack Sparrow looking for the last of the rum. He frequently comes up behind us while doing the dishes just to snuggle the back of our legs, complete with a humming sound effect to express his love. And there can be few things better in life than to return home from work to your son ecstatically flipping out with excitement upon your arrival screaming “Dada!”. Clara continues to be a trip at nearly three years old. 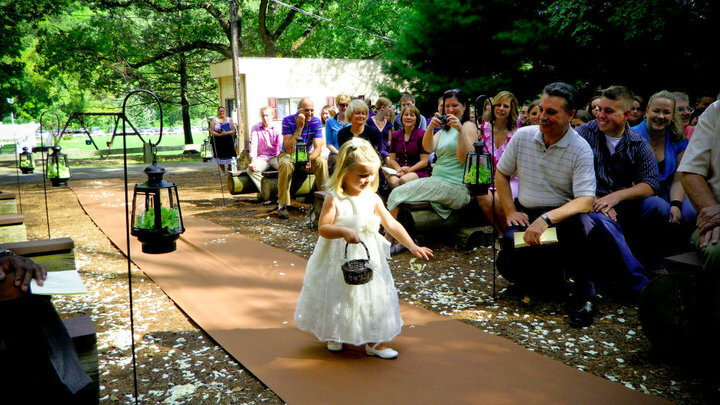 She did an amazing job as flower girl in Ty and Andrea’s wedding over Labor Day weekend. I think it may be impossible for a Dad’s eyes not to well up with tears when you see your beautiful little girl go down the aisle, even if she’s only two and just the flower girl. After she very seriously and thoroughly placed the flower petals on the aisle she came back to hang out with me near the back of the venue so as not to cause a distraction. I fed the kids animal crackers to keep them quiet and when I found a sheep cracker I pointed it out to Clara. Clara then picked up a rock and informed me that I should have the sheep stand on the rock. I complied. Then she instructed me to have the sheep drink water from the rock. This took me aback, because as many Bible stories as we have read to her, I don’t ever recall telling her about Moses and the water from the rock in Exodus and I couldn’t think what may have possessed her imagination to think that a rock could produce water. I began to think that perhaps out of the mouth of babes I was to receive an inspirational message from God or some type of instruction. I eagerly awaited what she would say next as I envisioned myself as a sheep in need of both God as my rock and foundation and Jesus as the living water foreshadowed in those Exodus passages. Clara then squinted her eyes and cocked her head appearing ready to deliver a profound insight. And then she asked me very seriously, ” Now, Daddy… Do you have to go potty?” Good stuff. Well, Jaime is due back in a few hours, and while I have successfully kept the kids alive, the house is a wreck. Dad time.